Blu-ray Set (OVA: 3 eps + TV: 26 eps): 10700yen + tax. October 11, 2018. Last edited by WTK; 09-11-2018, 10:36 PM. Are all of these new Tenchi listings SD BDs? That would be very disappointing considering some of these didn't look very good on DVD. 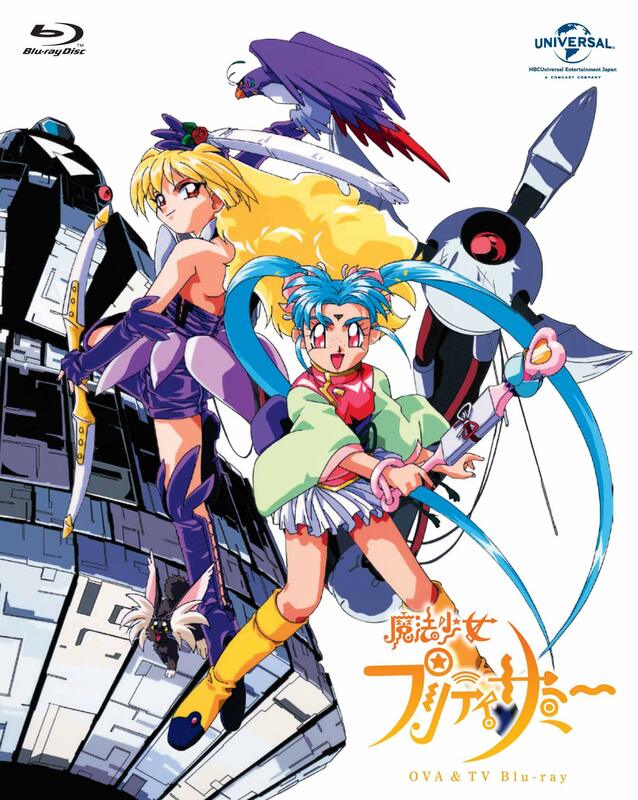 Yeah, was really hoping for at least Tenchi TV to get a new scan, as I have a lot of nostalgia for it, and its OP at least has excellent animation. Pretty sure these are all old composite masters, to boot... and IIRC the Pretty Samy TV R2s had some really bad baked-in jaggies for some reason. My understanding of the listing is that this is an SDBD but I could be wrong. 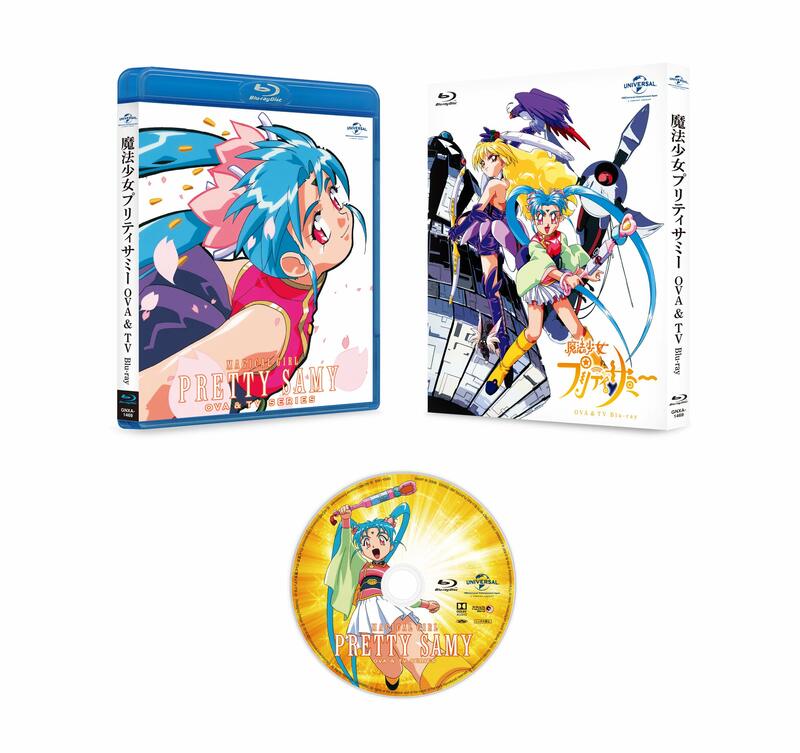 Blu-ray Set (OVA: 3 eps + TV: 26 eps; 2-discs): 10700yen + tax. October 11, 2018. At least it looks like the OVA is getting a proper HD remaster, since they're not sticking the three episodes in the same disc as the TV series. Hmm, I dunno about that, the product page says "SDサイズ（TV・ビデオ作品）", which seems to mean that both the TV and the OVAs are in SD. NBC Universal's pages have had mistakes before, but I wouldn't get my hopes up. The NBC Universal website listed the same "SDサイズ（TV・ビデオ作品)" information for the priced-down re-releases of the first Tenchi Muyo OVA series and El Hazard, and we know both got proper HD telecines. That's the kind of sloppiness that gives me hope. Of course we can't rule out the possibility that the Pretty Sammy OVA is getting upscaled, but an SD-BD with just 3 episodes in it would be a ridiculous waste of disc space. Last edited by Zhou; 08-22-2018, 12:51 PM. I'm thinking the entire episode count is split across the two discs, and not PS OVA getting its own disc. Both Universe and Tokyo are listed as 2-disc as well, so I'm a bit doubtful PS is in HD. The only HD PS material that was released so far was the "Mahou Shoujo Pretty Sammy" music video in the Sound File. The info about Tenchi Universe being a 2-disc set turned out to be inaccurate, since Amazon's packaging shot shows a single disc, and it wouldn't surprise me if the same were true about Tenchi in Tokyo. Just NBC Universal being unreliable again. Turns out, Universe is indeed 1-disc. Since these sets have been solicited as 2-disc, and we have confirmation that Universe is on one, then there's a possibility they got the listing wrong with MGPS's as well. That single-disc packaging shot hurt me right in the soul, just like the ones for Tenchi Universe, Tenchi in Tokyo (which I don't even like) and Dual. Last edited by Zhou; 09-12-2018, 07:46 AM.